A Delhi High Court Bench headed by Chief Justice G. Rohini has issued a notice to the current Health Minister J.P. Nadda, on a Writ Petition filed by Centre for Public Interest Litigation, demanding that he shouldn’t be allowed to deal with vigilance cases relating to AIIMS. After hearing this, the bench issued notice and asked all respondents to file their response within 4 weeks. Next date of hearing is 22.04.2015. In a Writ Petition filed in the Delhi High Court, Centre for Public Interest Litigation has sought a direction for expeditious investigation of corruption cases by the CBI as well as of the disciplinary proceedings of corruption cases in AIIMS. CPIL has also sought a direction to the Health Minister Mr. J.P. Nadda to recuse himself from all the cases. New Vigilance Administration of AIIMS had initiated actions relating to various malpractices due to corruption in the institution, which involved senior functionaries of the institute like the then Deputy Directors (Administration) (a post held by senior IAS/IPS officers), Head of Engineering Wing, Registrar, Chief Administrative officer and Senior faculty members. These malpractices included supply of dubious medicines by a private chemist shop, having influential political nexus, and opened into institute premises, middlemen in making fake outpatient department (OPD) cards, irregularities and wastage in purchase of surgery equipments and other medical items, etc. 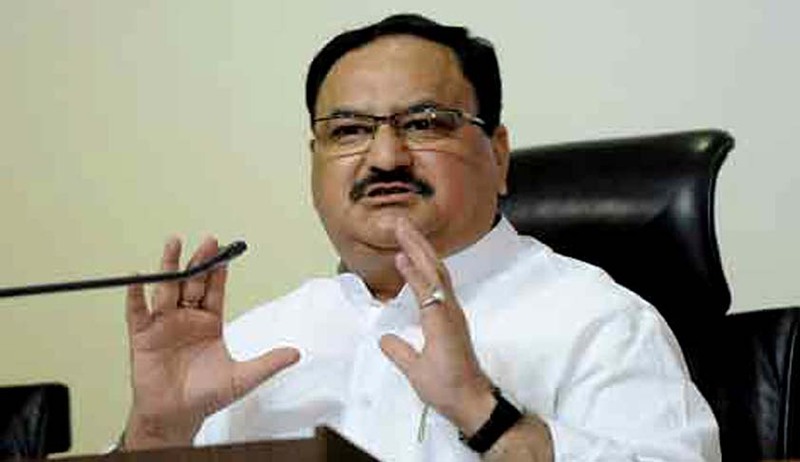 The Petition alleges that as a Member of Parliament, the Mr. J.P. Nadda had written numerous letters to various Central Ministers from May, 2013 to June, 2014, in order to halt the proceedings by the Vigilance Administration. It alleges that Mr. Nadda “did unusual lobbying to dismantle this newly setup vigilance administration apparently to influence the ongoing inquiry proceedings in the corruption cases under the new vigilance setup and for this purpose he not only openly demanded to put all the inquiries into these cases on hold.” He is accused of untimely dismantling the Vigilance administration by exerting undue influence. After such attempts, in November 2014, the Respondent, Mr. Nadda was appointed as the Health Minister. The most prominent corruption cases mentioned in the Petition include the attempts to protect the huge corruption/abuse of official position by an earlier Deputy Director Administration between Year 2010-2012 which include irregular appointment of consultants causing huge loss to the state exchequer, illegal extension of a corrupt and under qualified engineer to supervise expansion work of thousands of crores of rupees including the construction of the country’s largest cancer institute, and a notorious incident of treatment of his pet dog at the cancer centre by intimidating/blackmailing senior doctors of the institute. Also, exonerating a very senior faculty member who was treating some very influential politicians, despite clear cut recommendations of MCI & CBI for major penalty proceedings on account of accepting hospitality from a private medical college and for submitting fake rental bills during inspection of a private medical college in blatant violation of MCI guidelines and the most recent episode of removal of the Chief Vigilance officer of the institute whose record as per the Ministry itself was exemplary/outstanding in curbing corruption in the institute. It also demands an inquiry into efforts to halt proceedings and the related missing files in the case.